Start Fiddler on Fiddler server (the machine that will capture the traffic). Click Tools > Fiddler Options. 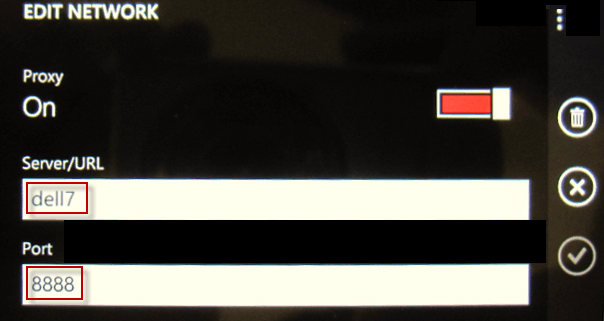 Click Allow remote clients to connect. 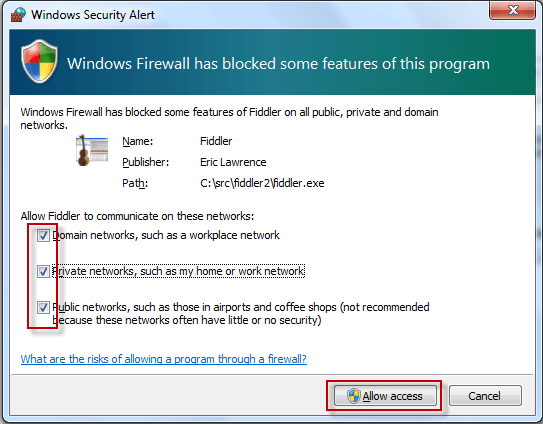 In the Windows Security Alert dialog, check all three checkboxes and click the Allow Access button. 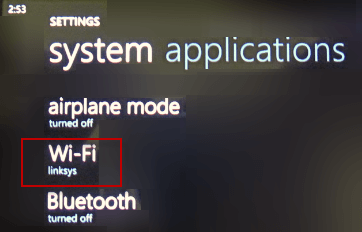 To verify this configuration, enable your Windows Phone WiFi connection and visit http://FIDDLERSERVER:8888, where FIDDLERSERVER is the machine name for the machine running Fiddler. This should display the Fiddler Echo Service web site. 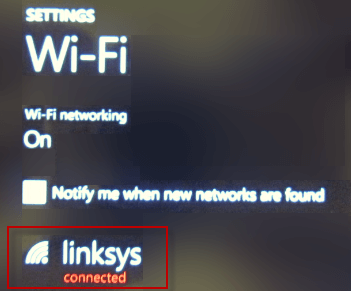 Tap the active WiFi connection. Slide the Proxy Slider to On. In the Server/URL field, type the machine name for the Fiddler server. In the Port field, type 8888. 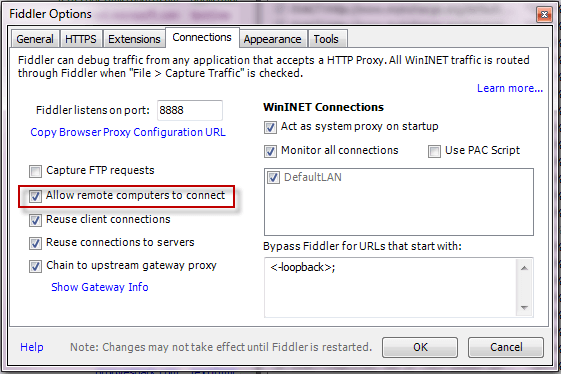 Configure Fiddler to decrypt HTTPS traffic. On the Windows Phone, use Mobile IE to request an HTTPS protocol URL. 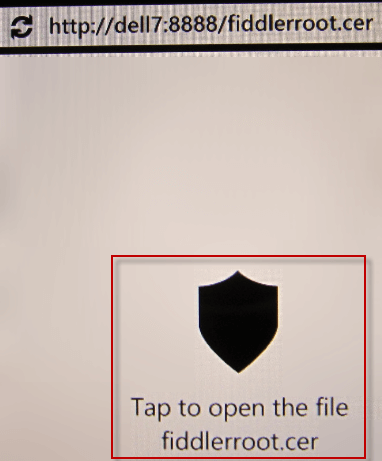 Tap the icon labeled Tap to open the file fiddlerroot.cer. Note: There is no known resource containing steps to remove security certificates from a Windows Phone. 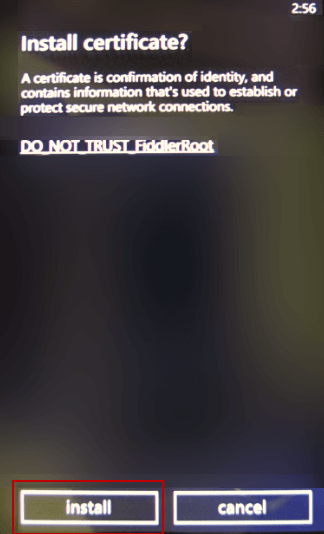 This may prevent connecting to a different Fiddler proxy, which will use a different security certificate. Slide the Proxy Slider to Off.